The club is clean and roomy, with clear sight lines to the stage. The roster of performers is one of the most consistent and stellar in all of Manhattan. 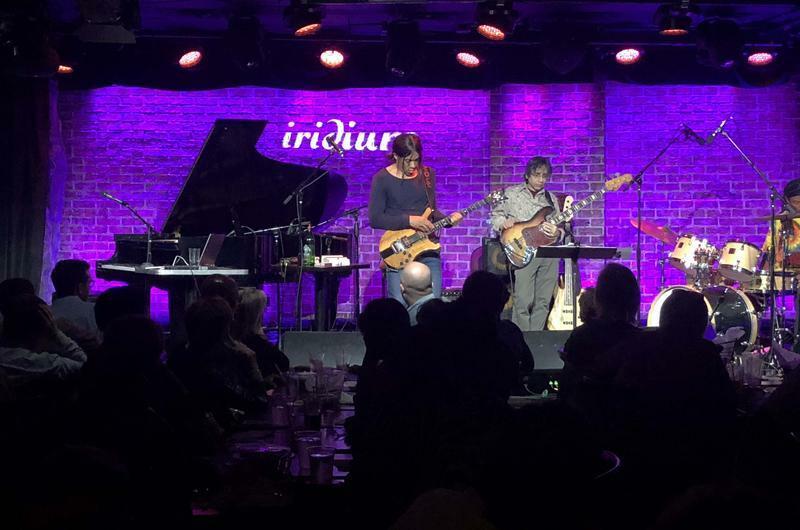 In addition to the great line up of Jazz shows, The Iridium also features incredible and well established blues and rock artists throughout the year. It's a very special opportunity indeed to see artists of such great stature in such intimate environs. The sound at The Iridium is also stellar and second to none. It's very apparent the owners and crew have gone to great lengths to ensure their guests and performers always have the best experience possible, regardless of whether you’re onstage or in the audience. 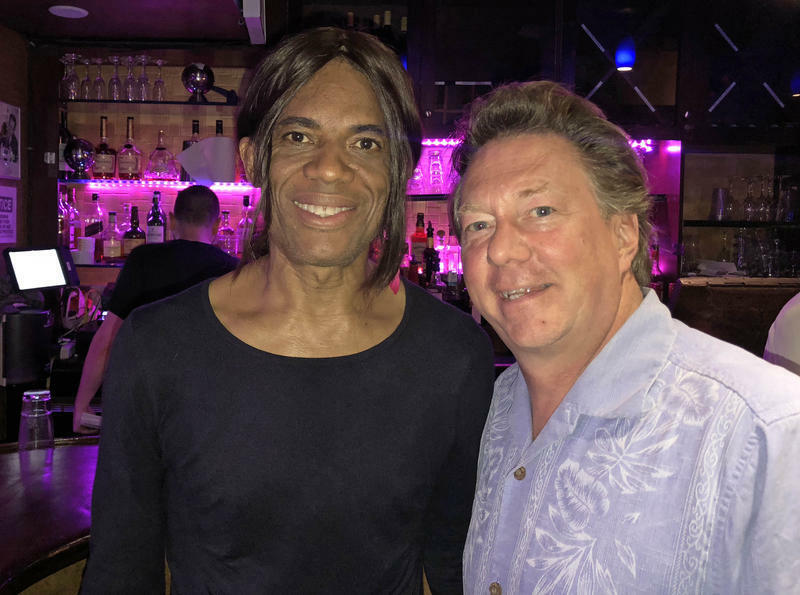 I recently saw the iconic Stanley Jordan and his trio on the third night of a three-night stand at The Iridium in New York... And what a night! Stanley is well known for his unique touch-tapping guitar playing style and his all-fourths tuning. As is true with all truly great artists, their live performances far exceed their studio efforts. They thrive on the spontaneity and feedback from the audience to bring out the best in their material. Stanley Jordan is among these greats! Stanley is very soft spoken and lets his music do most of the talking. Each song of the set was inspired and soulful, with Stanley taking the lead and the bass player and drummer accenting the music at just the right moments. Stanley’s touch-tapping style is fascinating to watch as he moves both hands up and down the fret board. The volume and sound of each note can be controlled by the impact he places on a particular string. This makes the performance even more intensely personal as Jordan is giving considerable thought to every note he plays. An unexpected highlight of the night was when Stanley mentioned he had recently attended the Nordic Institute for Theoretical Physics in Stockholm, then proceeded to play a song he composed based on the tones he created for several elements of the periodic table. He demonstrated the tone of several elements individually and then put them together in a fascinating composition. He even threw in a special note for The Iridium, just for good measure! The show ended with a spectacular version of "Stairway to Heaven," during which Stanley played two guitars at once! I’d never seen that before! You might think that with such stellar entertainment on stage the food here would be an afterthought, but that is definitely not so! The flatbread pizza I had was cooked perfectly and the crust was just the right amount of crisp and not too thick. The Coconut Shrimp were large and tasty, and being a jazz club, you know The Iridium can mix a great cocktail! Click Here to View The Iridium NYC Menu! The staff was extremely friendly and respectful of the performer and performance on stage. If you weren’t being served, you would have never noticed them in the audience. The Iridium is a first-class venue showcasing the finest talent. 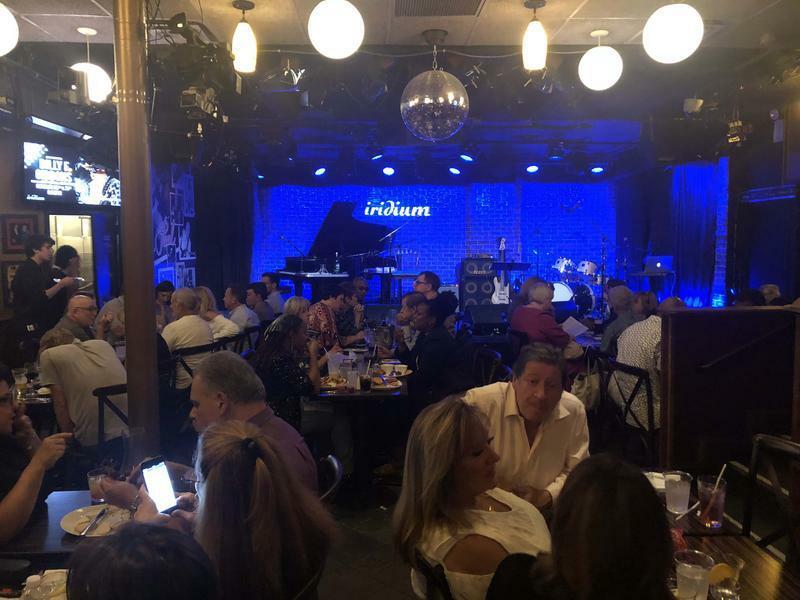 Any night at the The Iridium is a night well spent and you can count on a great performance as it brings out the best in everyone who attends! You can rest assured that you’ll go home smiling. Click Here to View Upcoming Iridium Jazz Club Events!